If you know me, you know that I love to burn candles. Whether it's Christmas or not, I just love the cosy feeling you get when there are candles on in the house. During the year I picked up a few candles that I have been saving to burn during the colder months. I thought I'd share them with you. 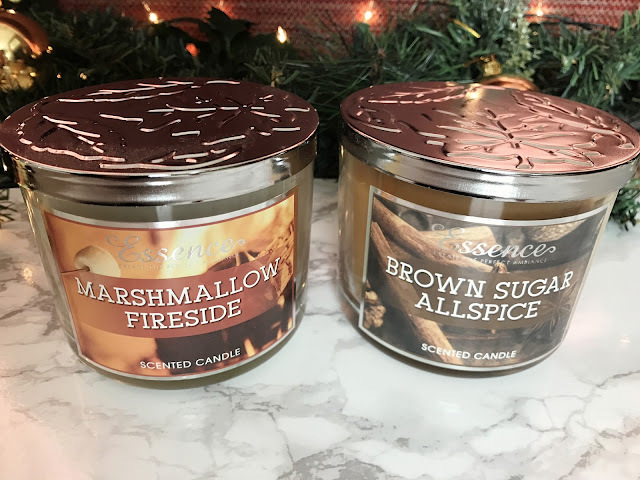 First up are these Essence candles. 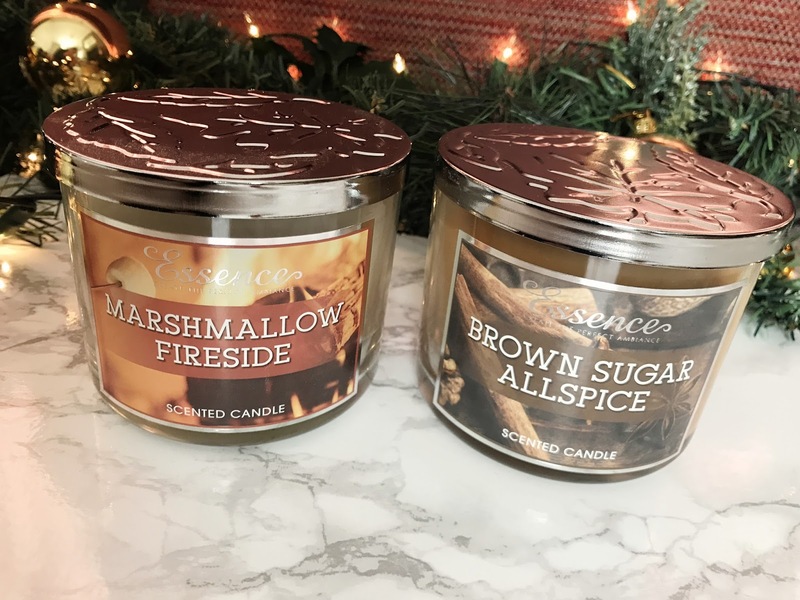 These are said to be a dupe for the Bath and Body Works candles which I personally do think they look very similar, but I haven't actually tried any myself. They have similar packaging from what I've seen online. I picked these two up from the B&M stores for just £2.99 each! Bargain! 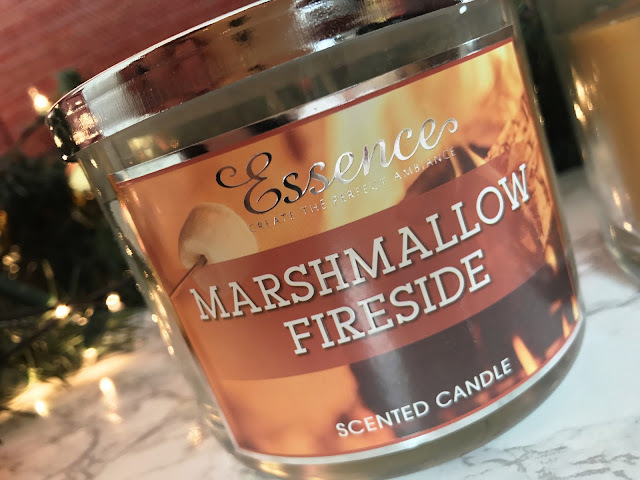 The first one is Marshmallow Fireside this is a really sweet, almost fresh smelling scent and personally my favourite out of the two. The last time I had toasted marshmallows was when I was about 8, so I can't tell you that that's what this candle smells of. 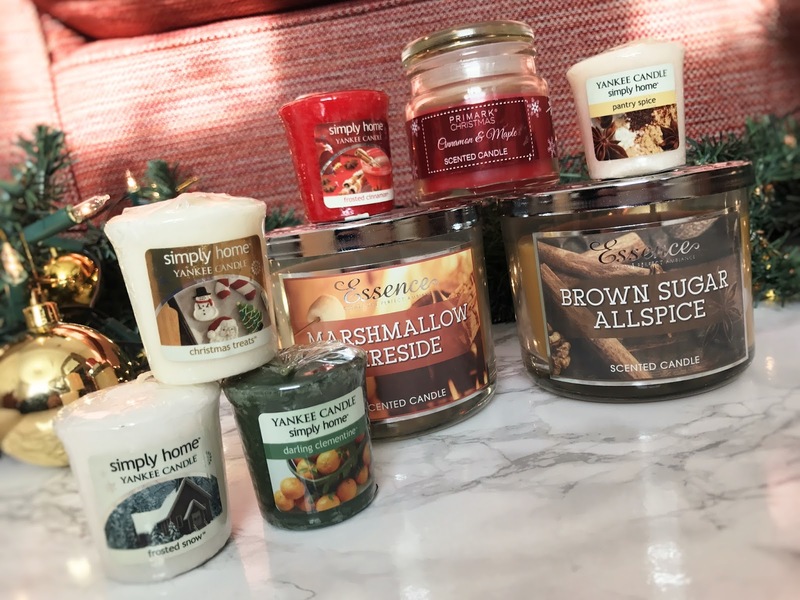 But it's definitely on the sweeter side of festive candles. Next is Brown Sugar All Spice which has a very spicy scent. I personally like to burn this in the kitchen because it makes me think of Christmas baking. Yankee candles are by far my favourite brand of candles. There are so many fragrances to choose from especially at this time of the year. Last year I bought a few sets of the votive candles that included festive scents and the simply home range. A few of which I'm planning to burn this Christmas! If you don't like sweet smelling candles and prefer a more neutral fragrance then Frosted Snow is a good one. However, something about it reminds me of bathroom cleaning products. Moving on, Darling Clementine is a subtle citrussy candle which makes me think of a clean and fresh house. Definitely one to lighten up the mood on a gloomy day. Christmas Treats is a fresh but sweet fragranced candle. 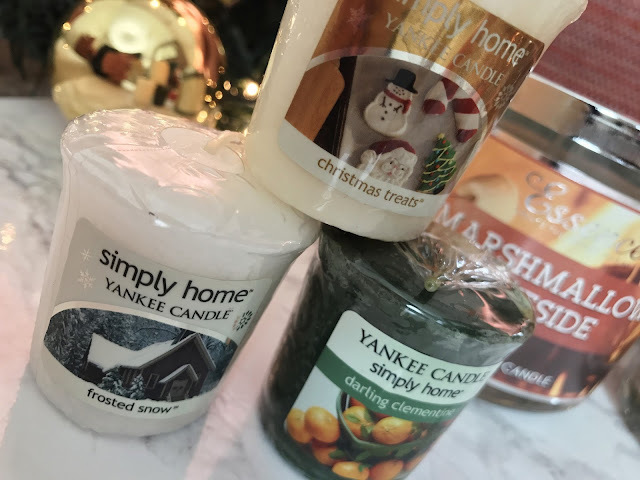 I wouldn't say it's the sweetest candle that Yankee does but it's probably a nice one to have in your living/communal area. 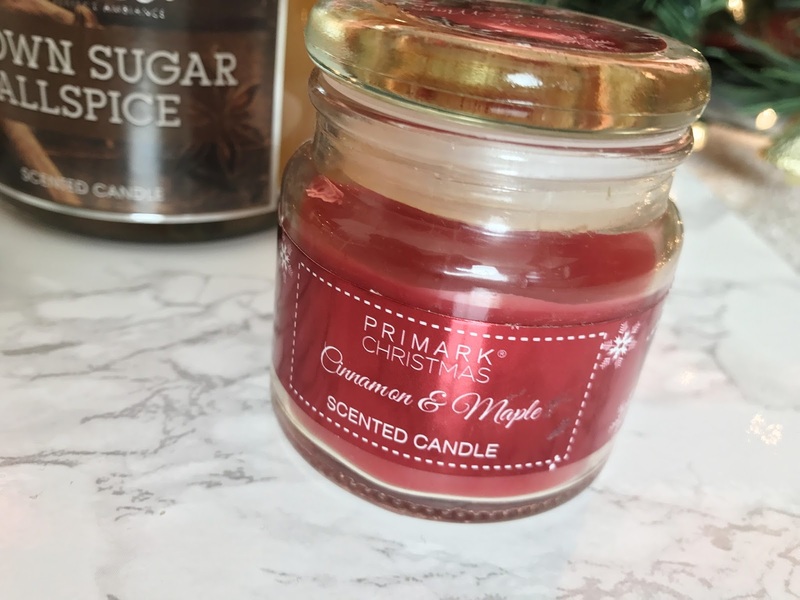 The candle from Primark is something I picked up last year so I'm not sure if you can still get it now. But for under £3 this candle has a lasting scent. The combination of Cinnamon and Maple is my favourite so having it in the candle is perfect. 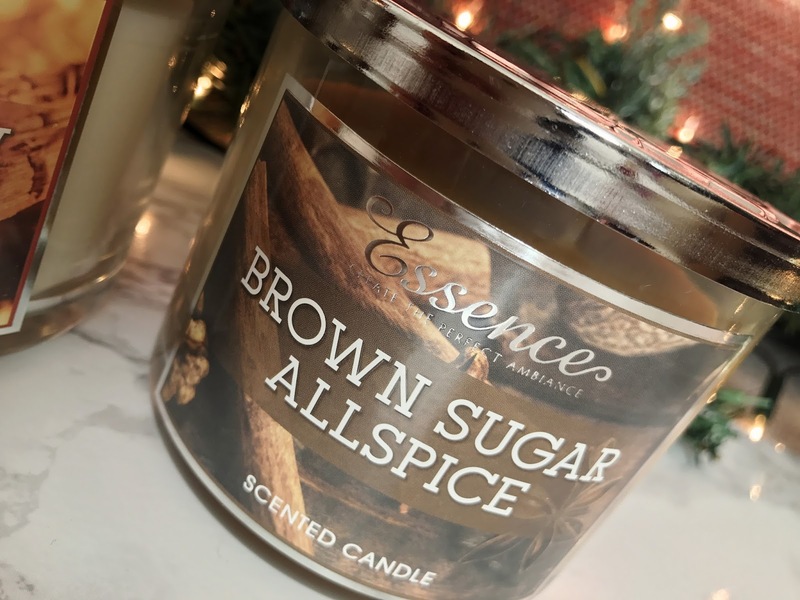 If you've tried the Brown sugar allspice from Essence and found it was too strong, then I'd recommend the Pantry Spice by Yankee Candles as it's a more subtle version of the same scent! Likewise Frosted Cinnamon is a sweet smelling Cinnamon fragrance unlike most Cinnamon scented candles. I personally prefer the subtle ones to the others. 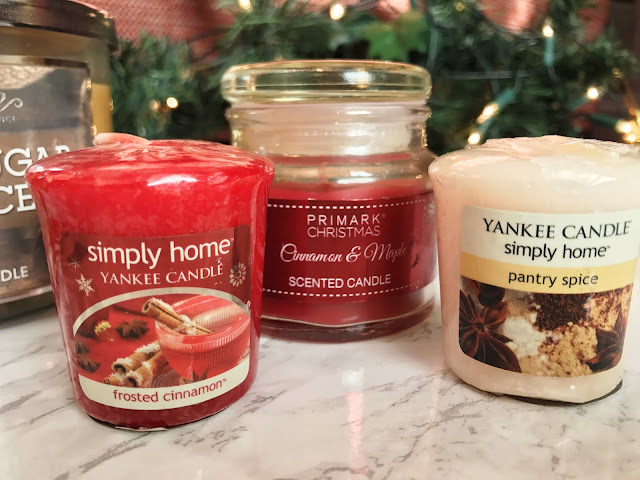 What is your favourite festive scented candle?